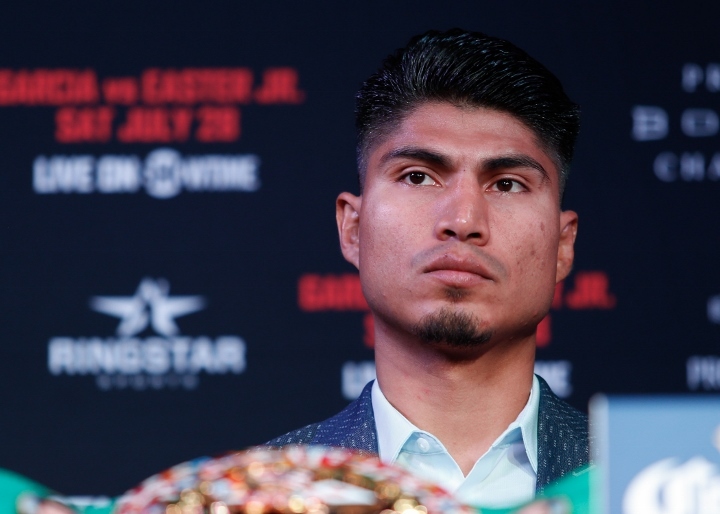 As Mikey Garcia continues to mull his next move in the ring, the brass at the World Boxing Council (WBC)—and presumably Luke Campbell as well—patiently await his decision. The reigning lightweight titlist is enjoying downtime following his lopsided 12-round loss to unbeaten welterweight titlist Errol Spence Jr. earlier this month in his bid to claim a major title in his fifth weight division. Garcia moved up two weight divisions for the welterweight title fight from his lightweight title unification win over Robert Easter Jr. last July. In moving forward with the Pay-Per-View bout with Spence, Garcia (39-1, 30KOs) was forced to relinquish his IBF lightweight title, due to their demands for an overdue mandatory title defense. Far more flexibility has come from the WBC office, which continues to be the case even in the aftermath of the March 16 event. Garcia won the WBC lightweight title in Jan. ’17 with a highlight-reel 3rd round knockout of Dejan Zlaticanin, but has spent his past five fights weight-jumping amidst a growing list of mandatory obligations. Following his title win came a pair of victories at super lightweight, outpointing Adrien Broner in a non-title fight and then dethroning Sergey Lipinets to claim the IBF 140-pound strap which he relinquished soon thereafter. A unification bout with Easter Jr. was granted on the condition the winner would face IBF mandatory Richard Commey. Garcia prevailed and even went into extended talks with the veteran boxer from Ghana, before giving up the belt in order to proceed with his lucrative showdown versus Spence. Commey went on to claim the vacant IBF lightweight title with a 2nd round knockout of Isa Chaniev this past February. Meanwhile, England’s Campbell (20-2, 16KOs) has earned his way back into contention. The 2012 Olympic Gold medalist came up short in a 12-round loss to then-champ Jorge Linares in Sept. ’17, having since racked up three straight wins. Included among the lot was a points victory over Yvan Mendy last September, which allowed Campbell to both become the mandatory contender as well as avenge his first career defeat, having lost a controversial decision to the Frenchman nearly three years prior. A strategically timed stay-busy bout saw Campbell tear through Adrian Yung earlier this month on a DAZN show in Philadelphia, Penn. The bout took place on the eve of Garcia’s loss to Spence, with the intention of remaining active while waiting out the eventual decision made regarding the WBC lightweight title. “Luke is in a tough position,” Eddie Hearn, Campbell’s promoter explained to BoxingScene,com. “We know it’s unlikely that Mikey Garcia comes back down to fight Luke. So, we’re pressuring WBC to make the right decision. Campbell remains in a good place as he remains next in line to challenge for the crown, be it versus Garcia or in a vacant title fight. Fighting a mandatory to keep his only title seems sensible.